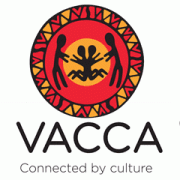 VACCA is looking for Aboriginal people who have a passion and commitment to ensuring decisions made for Aboriginal children involved with child protection are culturally appropriate, safe and in the best interests. VACCA is experiencing significant growth and requires Aboriginal and Torres Strait people to join our Lakidjeka Aboriginal Child Specialist Advice Support Service (ACSASS). The Victorian Aboriginal Child Care Agency (VACCA) is Victoria’s largest Aboriginal child and family services organisation. Since 1977, we have been advocating for the rights and interest of Aboriginal Children, young people, families and other community members. Please quote in application: Team Leader- Aboriginal Child Specialist Advice Support Service via Pro Bono Australia.